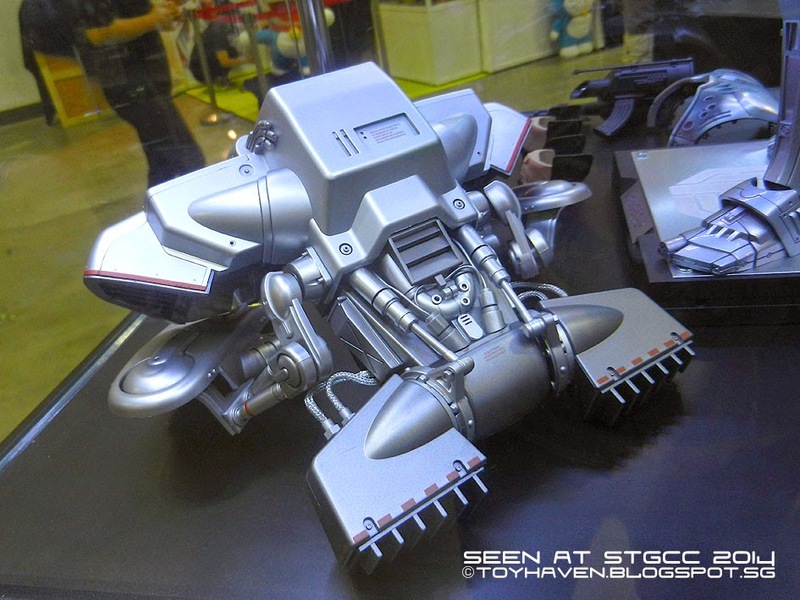 Besides Hot Toys, a lot of the 1/6 scale manufacturers are there at this year's Singapore Toy Games & Comic Convention (STGCC 2014, now on at Marina Bay Sands Expo and Convention Center from September 6 to 7 from 10am till 8pm) showcasing their products and teasing customers and potential buyers with what they had to offer in the near future. 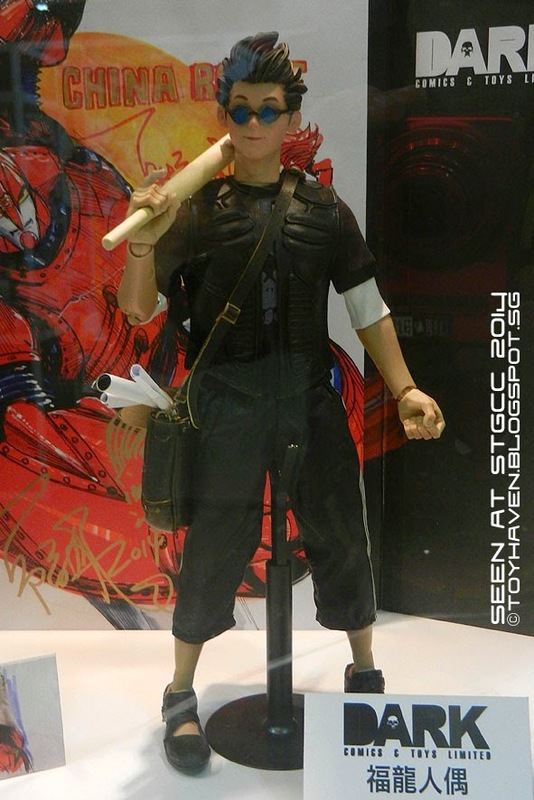 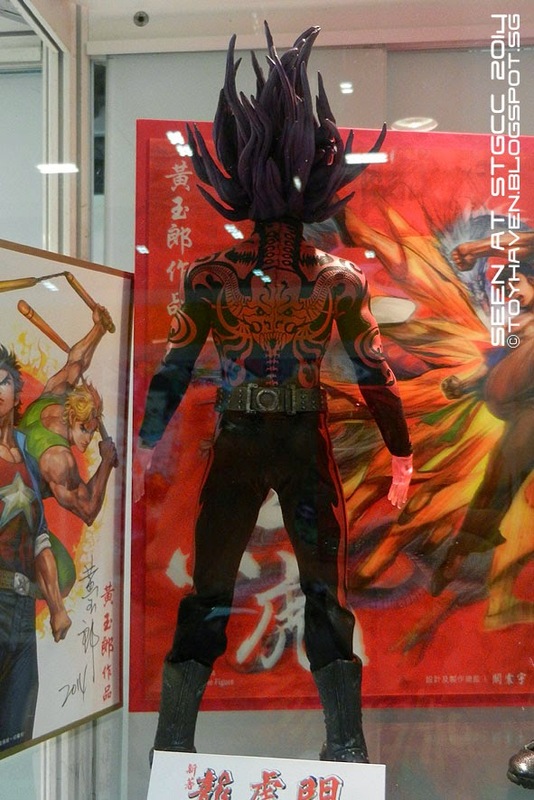 From ACI to ZCWO (A to Z), the toy companies (including DAM Toys with one of the hot sellers at STGCC - DAM TOYS 1/6 scale Gangsters Kingdom Spade J (GK001EX) figure [previewed HERE], Phicen etc) were all there to strut their stuff. 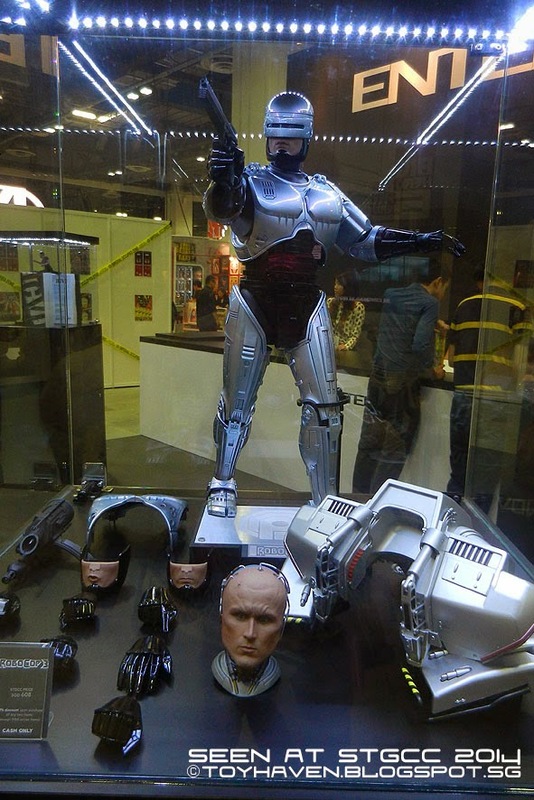 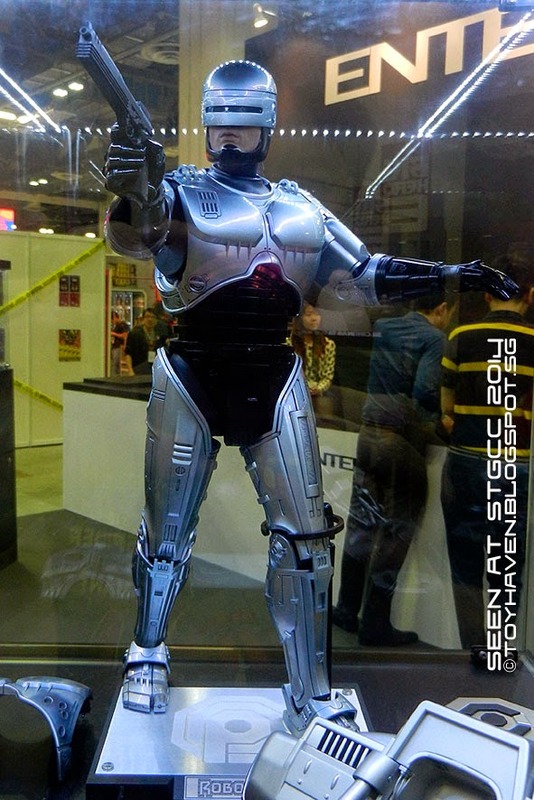 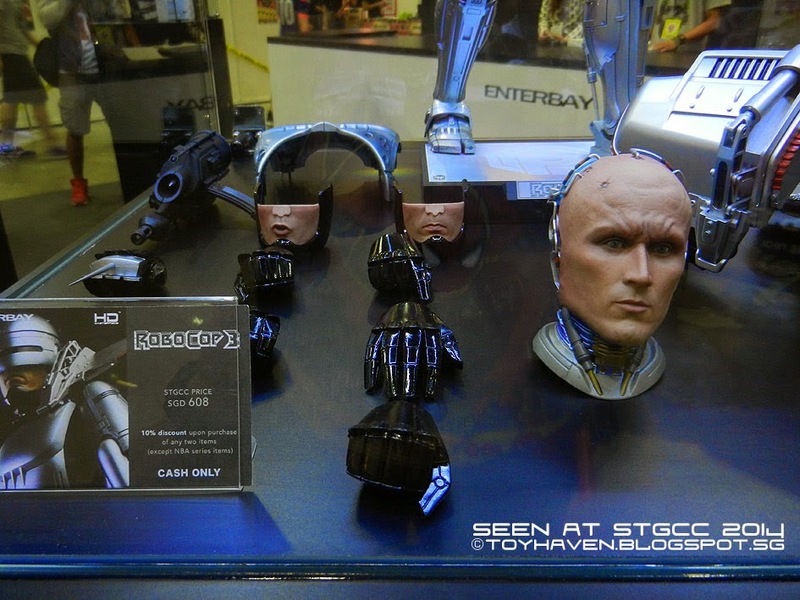 1/4 scale RoboCop made his presence felt at STGCC 2014 and he's HUGE! This is the ACI Pangaea Toy PG01 Greek General 1/6 scale action figure. 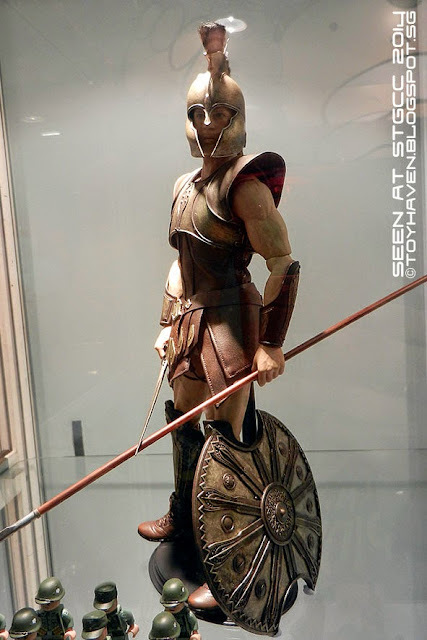 This 12-inch figure is most likely inspired by Brad Pitt's Achilles character from the 2004 American epic war film "Troy" and it's been a long while since anyone made this figure. An earlier figure released quite some time back was extremely limited in numbers and very hard to get hold of, with prices hitting the roof for the ones that appeared on eBay. 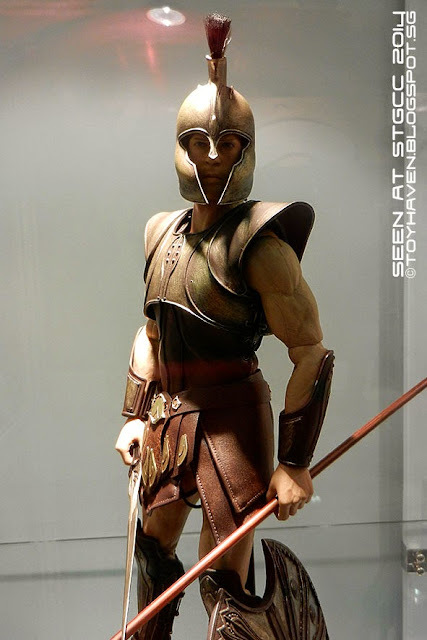 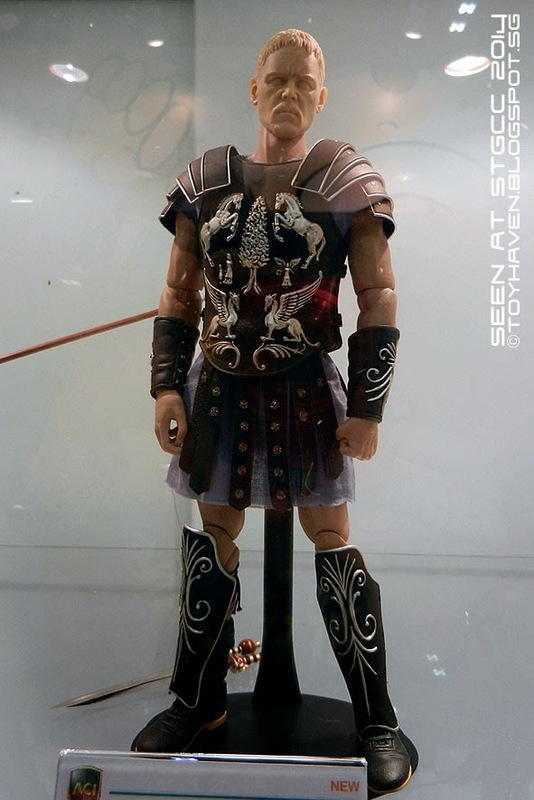 You can check out the pictures of the Brad Pitt Achilles from "Troy" figure posted on my toy blog HERE. 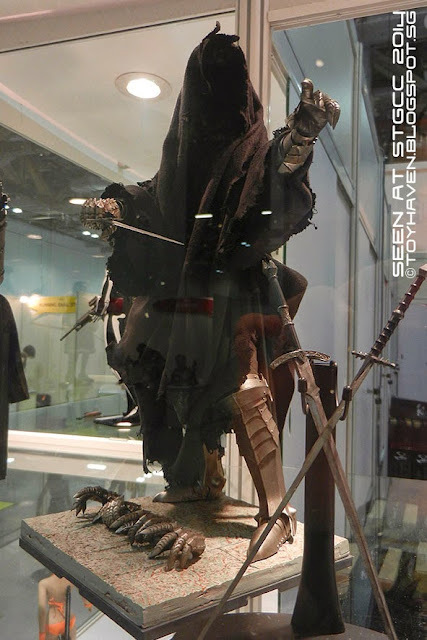 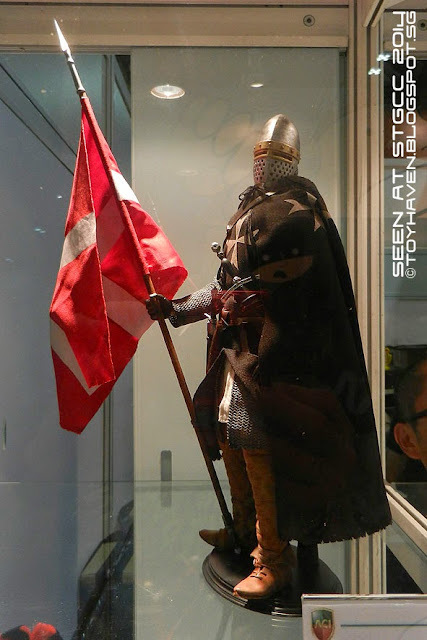 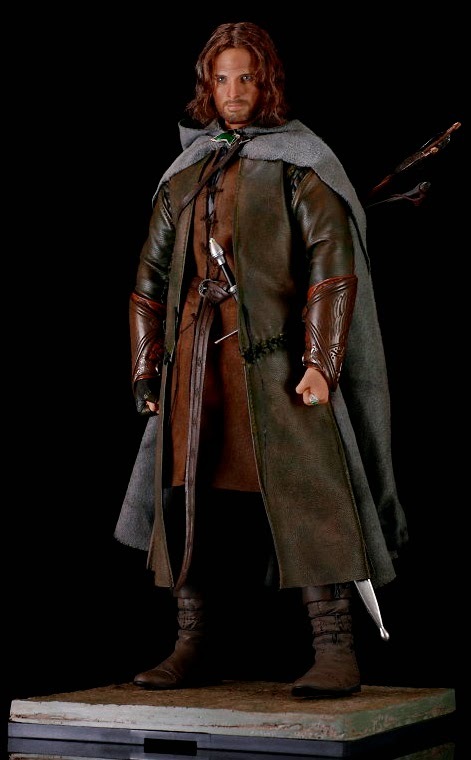 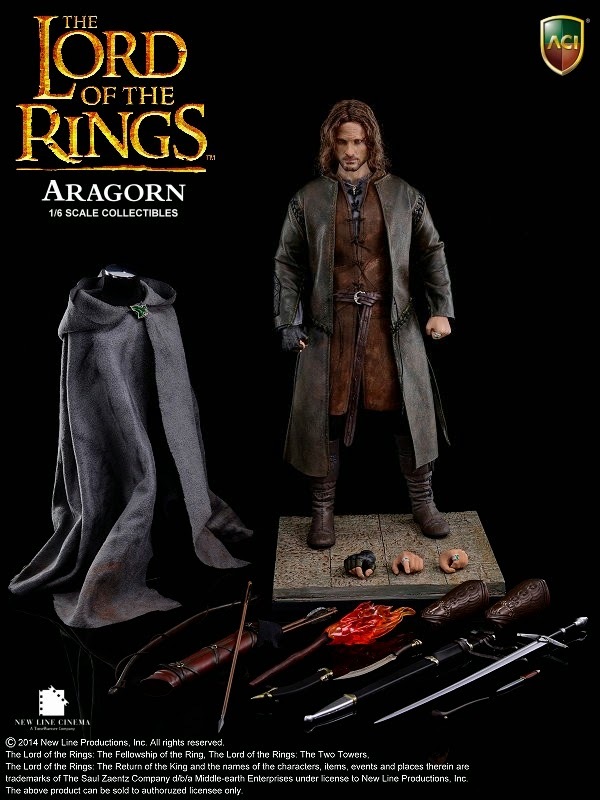 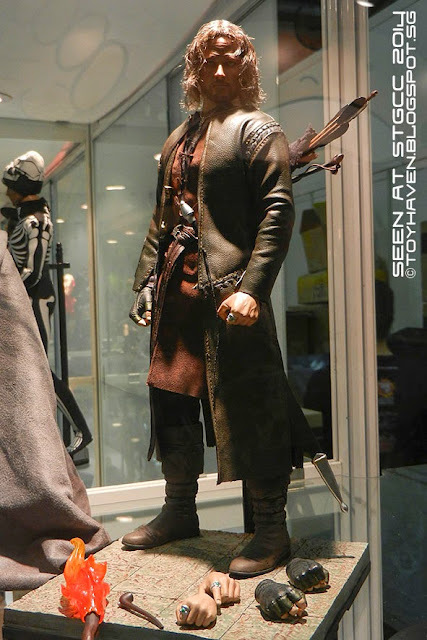 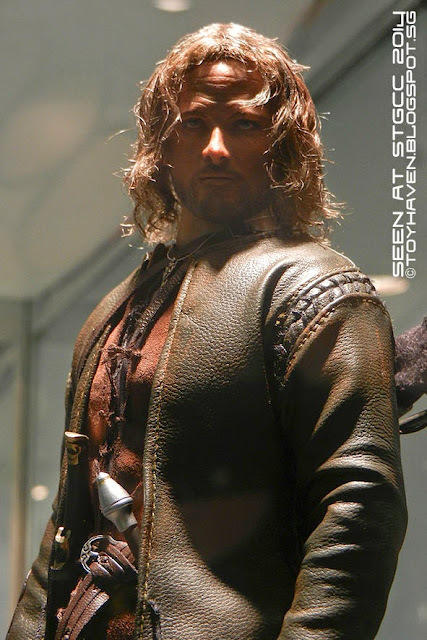 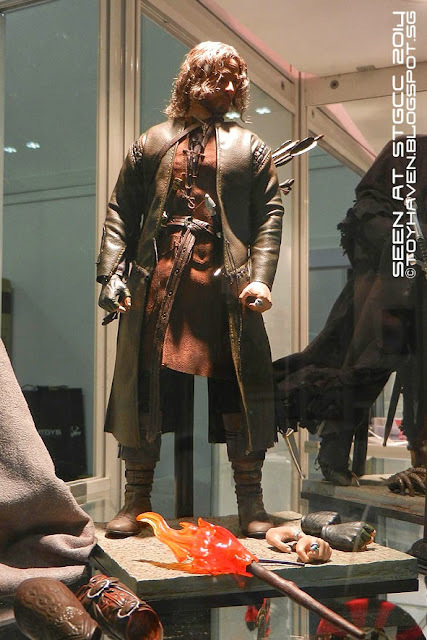 Besides 12-inch Achilles, ACI also previewed their 1/6 scale Aragorn from Lord of the Rings as well as the Knight Hospitaller figure. 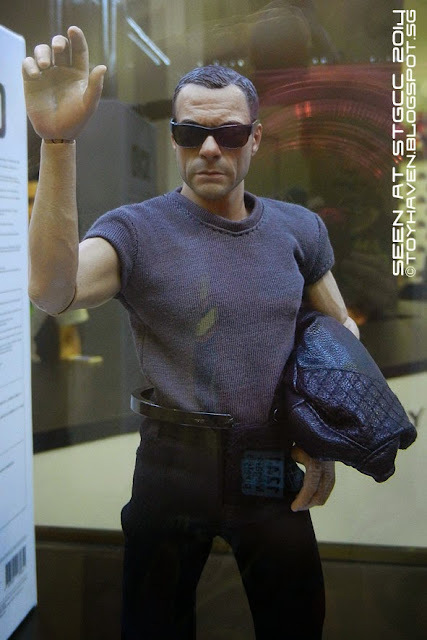 Scroll down to see all the pictures. 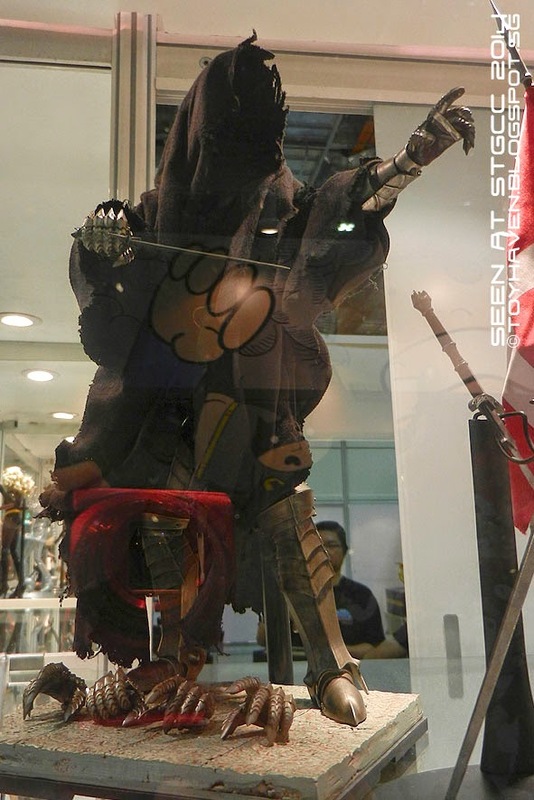 Click on them for bigger and better views. 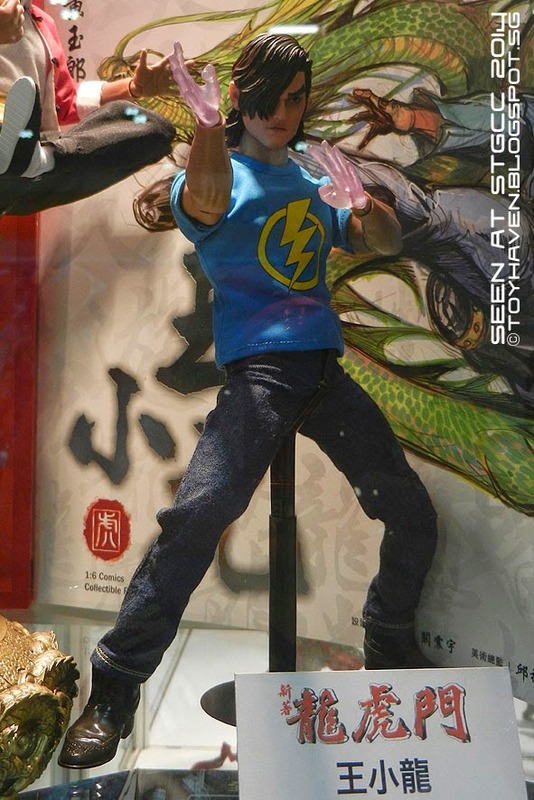 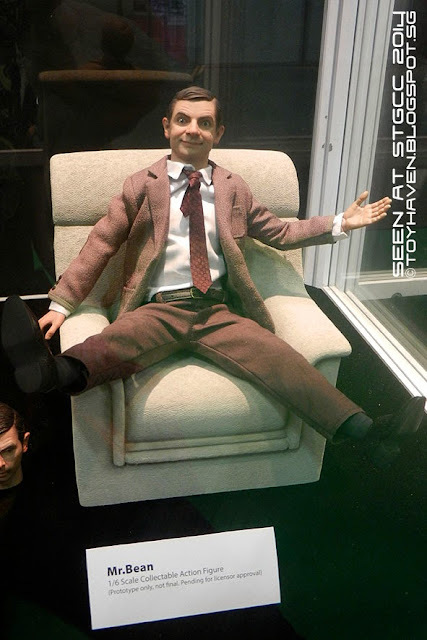 Compare the above photos with the preview pictures released by ACI Toys (shown below). 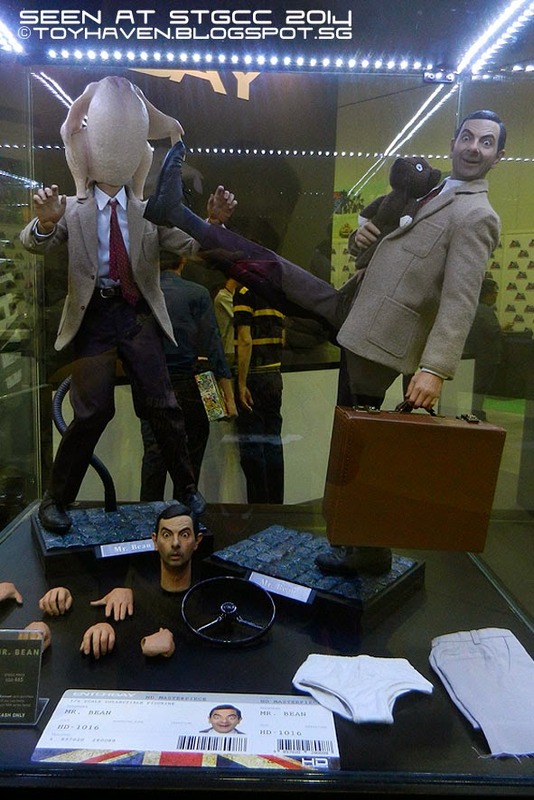 We have a winner here. 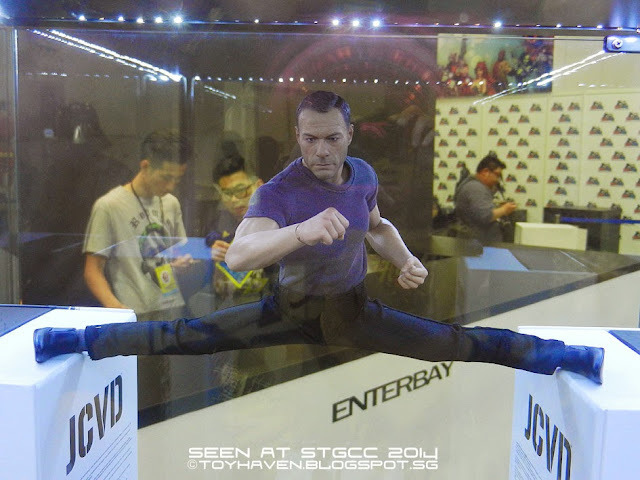 On 13 November 2013, Volvo Trucks released an advertisement on YouTube that shows Van Damme doing the splits while perched with each of his feet on the outer rearview mirrors of one semi-trailer truck and one box truck moving backwards, which Van Damme describes in the commercial as "the most epic of splits". 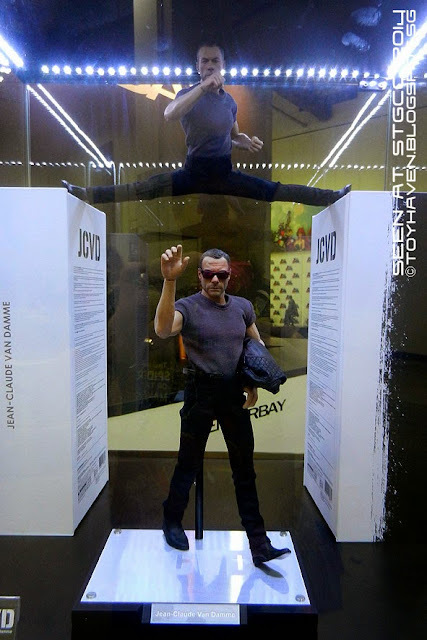 The video quickly went viral around the web, receiving more than 11 million views in three days and 35 million in the first week. 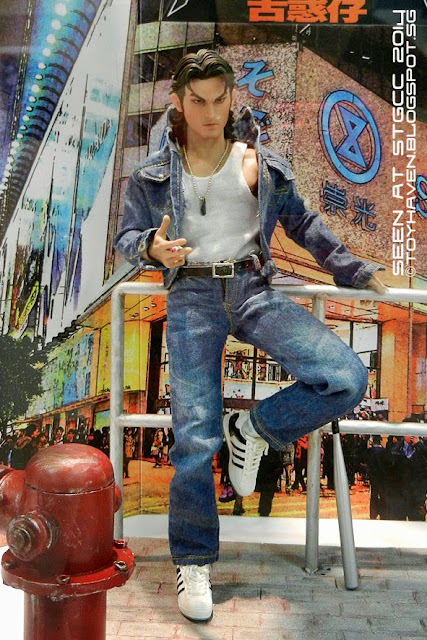 So how can we not show 1/6 scale JCVD doing the split! 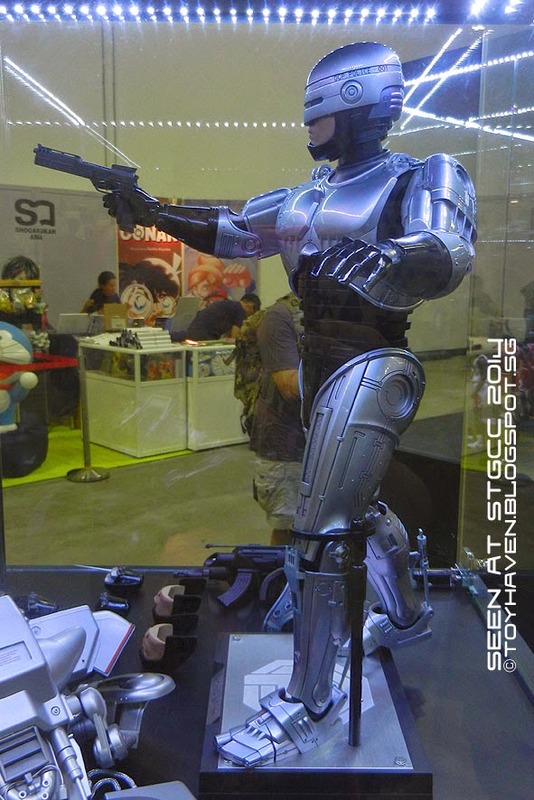 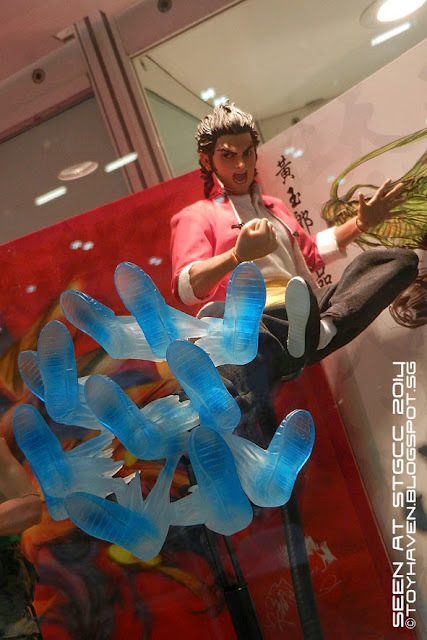 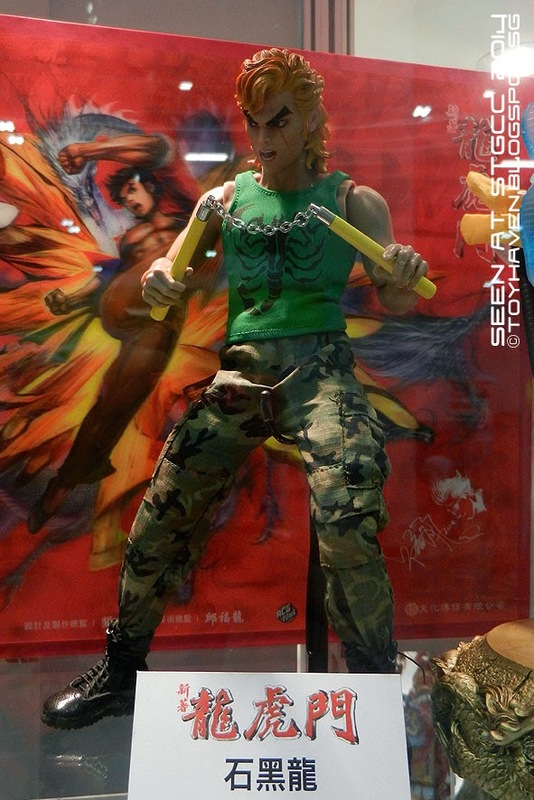 NEXT: THis year there were a lot of nice statues being offered at STGCC2014 and one of them is Singapore's very own producer of limited edition premium statue collectibles.